If you’re new to Windows 7, the visual tab feature can seem refreshing and aesthetically pleasing. However, after using it for extended periods of time, it can become annoying – always being required to select which window to open back up when switching between different applications. Here’s the Registry fix for those who want to change that! All of this how-to is through the Windows 7 registry. If you want to skip editing the registry, you can jump down to the bottom of this article and download the registry fix package. 1. Click the Windows Start Menu Orb and Type regedit into the search box. 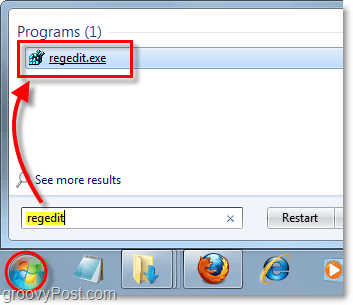 Press Enter on your keyboard or Click the regedit.exe program link. 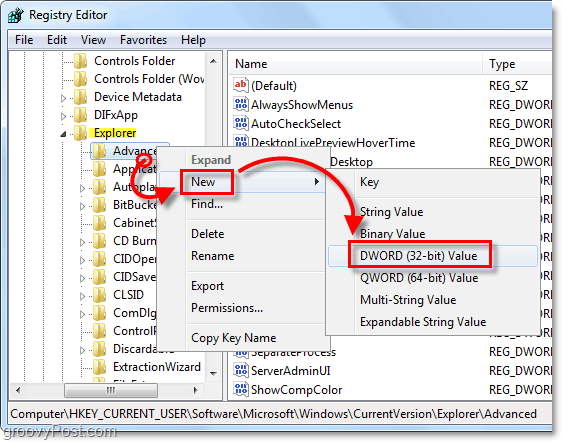 Once you get there, Right-Click the Advanced key and Select New > DWORD (32-bit) Value. 3. Right-Click the New Value #1 you just created and Select Rename. 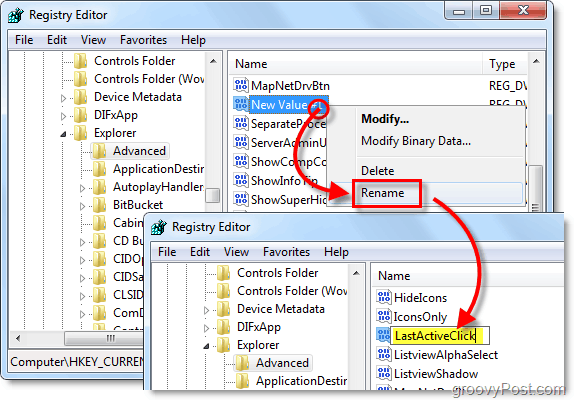 Name it LastActiveClick. 4. Double-Click LastActiveClick and Set the Value data to 1, then Click OK and exit regedit. 5. For changes to take effect, you’ll need to restart your computer or just restart Explorer. To close and restart Explorer, Open the Start Menu, then Hold Ctrl+Shift and Right-Click the menu. In the context menu Select Exit Explorer. 6. Simultaneously Press Ctrl+Shift+Esc and Task Manager will open. 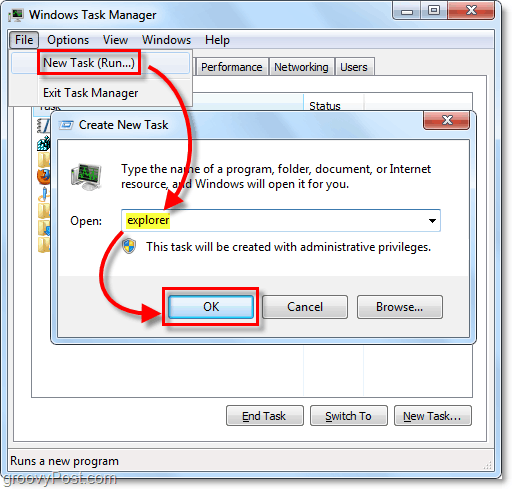 Click File > New Task (Run) and then Type in explorer in the box and Click OK.
Explorer should start back up. If the above steps are too long, or you just want to save time you can Download the pre-made registry fix and simply open it to apply the registry change with ease.